With summer just around the corner, make the most of the warm, relaxing evenings with Dovenden cordless lamps – bringing innovative and contemporary lighting into your home and garden. Dovenden lamps are handcrafted using high quality ceramics with stainless steel touch buttons to combine style and simplicity. They are not restricted by electrical cables or sockets. This means they can be used just about anywhere, inside or outside the home. 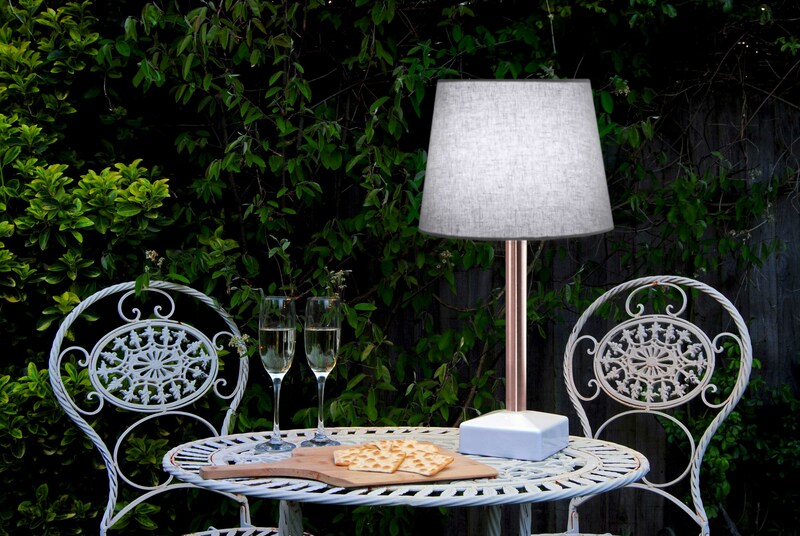 Ideal to use throughout the summer as an outdoor lamp for entertaining at barbecues and Al Fresco dining, as well a table lamp when dining within the home. With a range of models to choose from – our original 'Compact', versatile 'Cube' or contemporary 'HiLight' they are a functional modern solution to lighting your home and garden. With four different light settings, choose the level of brightness with one simple touch. They are environmentally-friendly using high efficiency LED bulbs. Dimmable lighting settings are ideal as a nursery or children´s room lamp, as well as a bedside table lamp. Also very useful in a power cut! Use for seven days of continuous lighting on the lowest setting before recharging, which means there’s no need to worry about being close to a charging point. Dovenden lamps use advanced Ni-MH rechargeable batteries and recharging takes just five hours with the supplied charger. Brightness is controlled using the low, medium and high brightness touch switch. A full charge gives up to a week of light on the low setting and 12 hours of use on the high setting. Dovenden lamps are extremely economical. A Dovenden lamp used on the ‘high’ brightness setting for five hours per day costs just 12p a month to charge. This compares very favourably with the cost of decorative candles and other forms of lighting. Dovenden is a European-based designer and manufacturer of handmade cordless lamps. This press release was distributed by ResponseSource Press Release Wire on behalf of Dovenden in the following categories: Leisure & Hobbies, Home & Garden, Retail & Fashion, for more information visit https://pressreleasewire.responsesource.com/about. Dovenden rechargeable cordless lamps are hand crafted from high quality ceramics and stainless steel.